I have two little mermaids at home, and I know a lot of you do too! 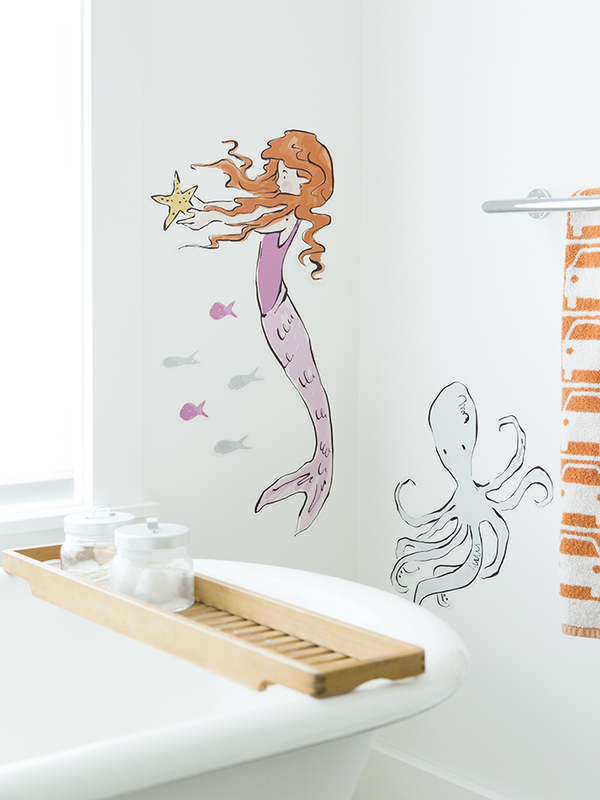 Here's a lovely gift list for your littlest mermaids. Enjoy! 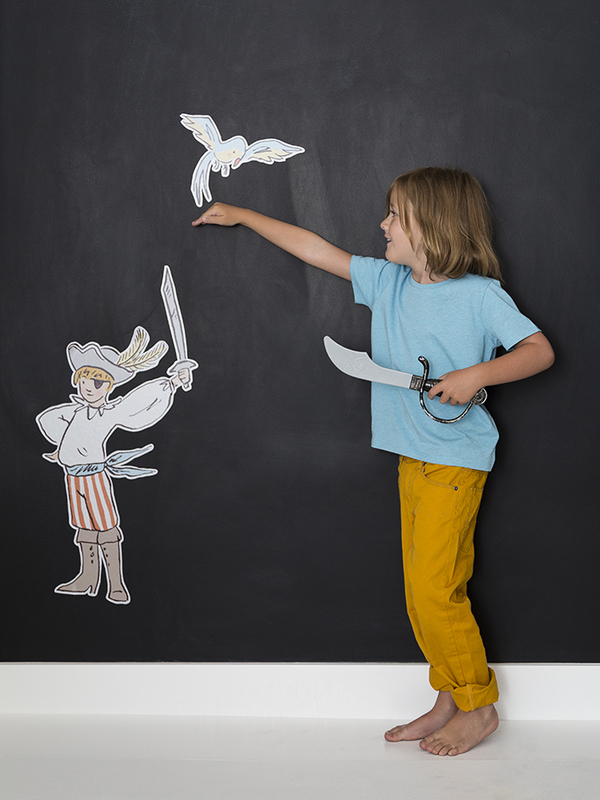 Here is a collection of favorite things for your little adventurer! With the holidays coming right around the corner (crazy!) I'm putting together some inspiration that I know you'll just love. Enjoy! 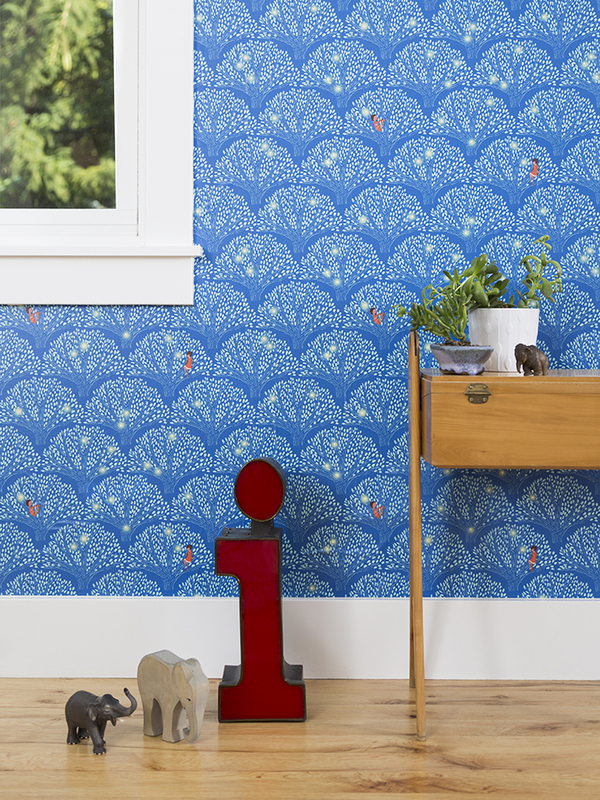 I'm so excited to be announcing my very first line of wallpaper! This has been a secret I've been keeping for a while, and I can't wait to show you! Wallpaper and wall decals are something I've been wanting to offer for a long time. I've gotten so many emails from you over the years begging me to make wall decals and wallpaper for kid's rooms, but the right opportunity never arrived. I wanted to be very selective in the product that we chose, and the company that we would collaborate with. But now it's all here, and I'm thrilled! I know you will be too. The wallpaper and wall decals are all fabric, peel and stick, resizable, removable, easy to apply and take down, made in the USA and incredibly high quality, which makes for gorgeous colors as well as making them easy to wipe down. While I was applying one of the wall decals, the sticky parts got stuck to themselves, but there was never any damage or tearing when we "unstuck" the sticker. You're going to love it! I'm loving that this wallpaper is stick on, peel off. It makes for the perfect kid's decor because it's a non-perminant commitment. No glue and no mess! The designs I've created all come from three fabric lines you might be familiar with: Children at Play, Out to Sea and Wee Wander. It's been so fun to resurrect some designs that are from my first collection. So, Children playing dolls, playing rocket ship, on parade, mermaids, pirates, ships, horses, deer, tree climbing and fireflies. I hope there is something for everyone! Thank you so much for all your excitement on Instagram and Facebook...it's been so great to hear your responses. I hope you love this as much as I do! Now to figure out how to deal with my kids who want one of everything in their rooms! boxes (which are separate stickers that can be placed where you like) you can display your family names and family heritage. 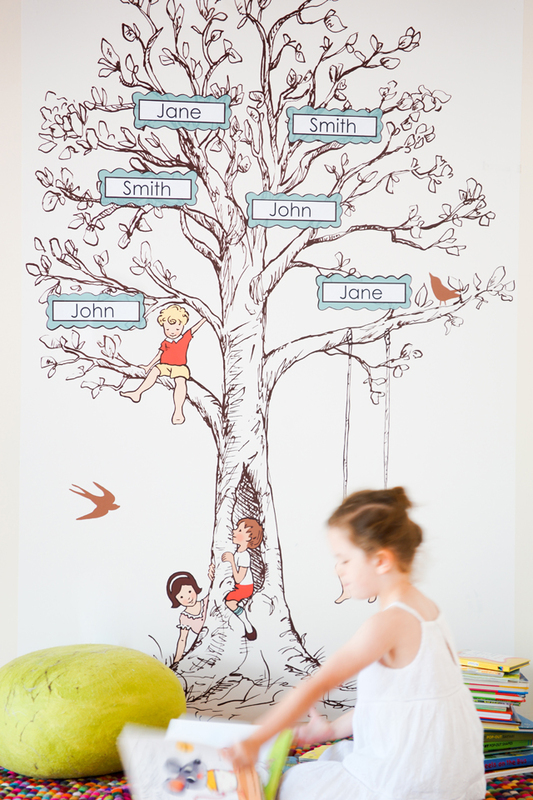 It's a great way for your children to know their family heritage in a playful, beautiful way! I'd love to hear your feedback, and answer any questions you have! For a list of basic questions, we have a FAQ page you can glance over, or feel free to email us on the contact button above on the blog. And feel free to share! When you hover over the image, you can easily pin or go straight to the listing when you click. And a special Thank you to Meta Coleman of One More Mushroom for styling and Cassidy Tuttle for Photography! I'm a sucker for really great kids' spaces. There are endless possibilities, and the fun part about decorating kids' rooms is that they are changing so much, that you get to recreate as often as you want! I love this clean white space featured on Full House Blog....a lovely blog with great clean design. The On Parade Print is the featured color in the space, and I love the pop! Thanks for sharing your spaces with me! 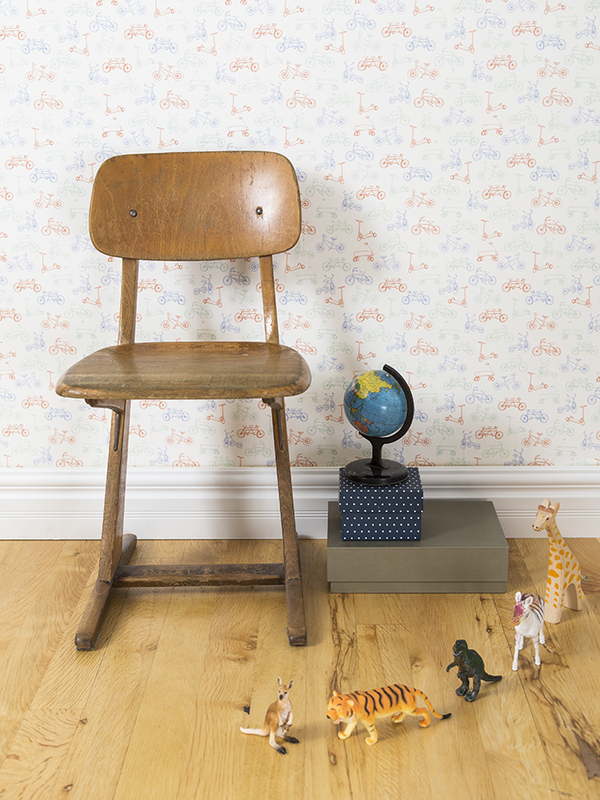 I love seeing how you've decorated around a Sarah Jane print collection or fabric collection. I'm starting a new segment of the blog! 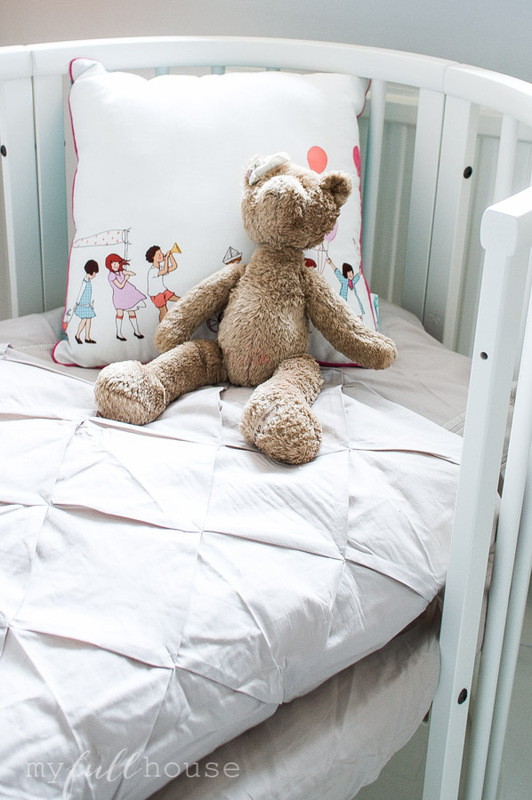 I'm always rounding up nursery decor in my mind, and with my own kids' rooms in constant flux, I thought it would be fun to share with you inspired nursery themes that incoorporate my wall art and/or fabric. I love these colors for boys. So fresh, and not so traditional, but still a classic. 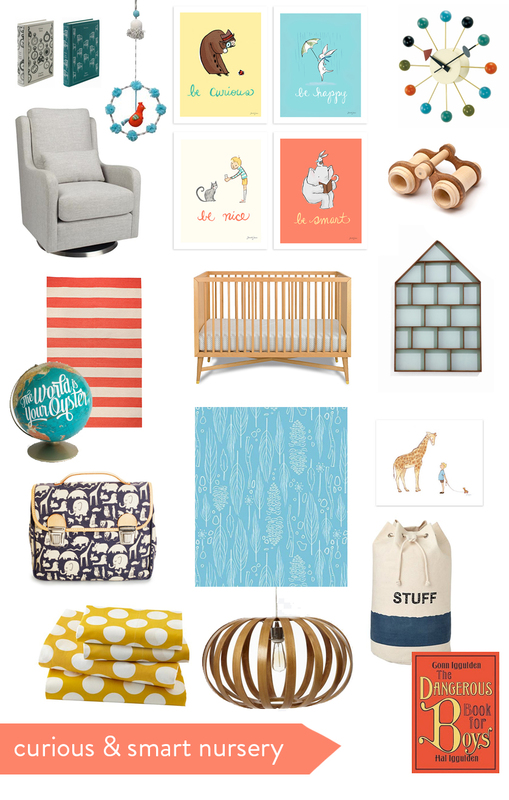 I'm so excited to share more nursery ideas. Stay tuned for more! Do you have a room to show? 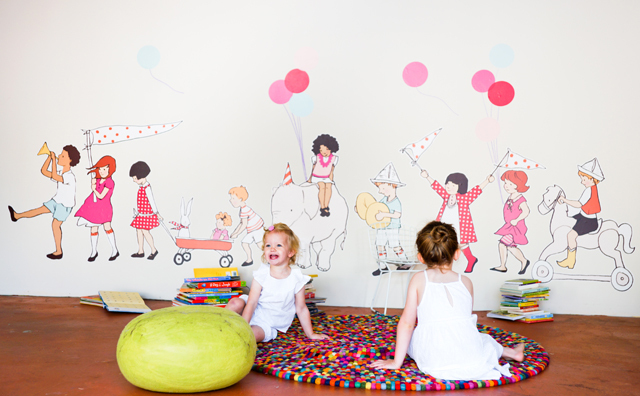 Here at Sarah Jane Studios, we LOVE getting inspired by children's spaces. I'm still finishing putting together my own kid's spaces (it takes forever it seems to get it "just" right!) and so we love it when you show us your magical rooms. Are you designing a space or redesigning a space and are willing to make it photo worthy and blog about it? We are interested in working with Mama's who have well designed spaces in mind. 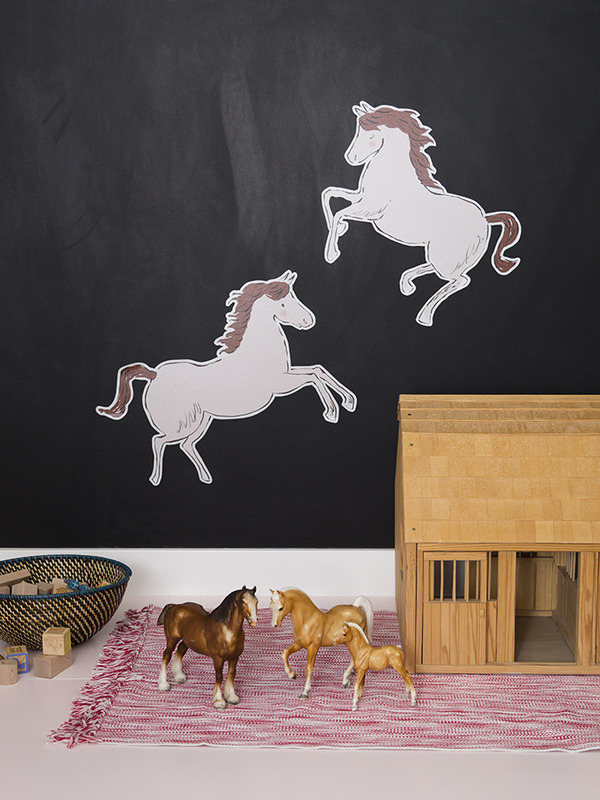 Shoot us a little "hello" and we'd love to work with you and contribute to your little one's room! Here are some recent shots of Finn's room that his mom emailed me just this week. I just love how this room works together. I especially love seeing boy rooms! Check out more of his amazing room here. And if you are wanting to work with us, again, please send us a message! We are looking forward to showing off more creative spaces! So, I want to see your kid's room. Wanna share? I know so many of you have adorable spaces that you want to share with me, I know it! But to keep it casual, I'm having you upload them to instagram. And there is a little contest this weekend! 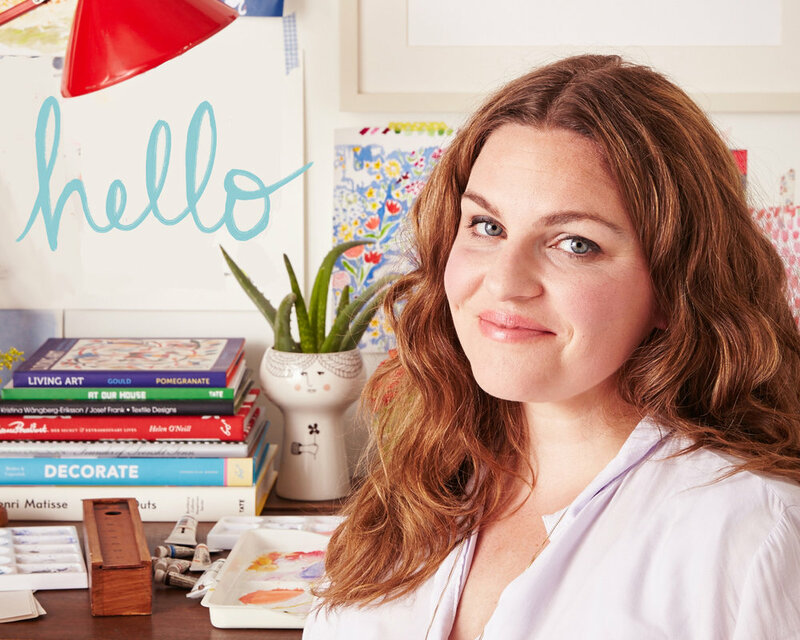 A giveaway when you upload your little corner of Sarah Jane and share your interior spaces! Just follow along on my instagram and see the details! I can't wait to see! And if you don't have instagram, and want to share anyways, I'd love it if you wanted to share a photo in the comments, or link to somewhere online. I love getting emails and messages with how you put together your children's spaces with Sarah Jane art or fabric. It seriously makes magic in my brain. And my heart. I got an email from Tessie this week with links to her daughters room. Isn't it gorgeous? She hung this print on the wall and it's just adorable in the space. I love how she used this embroidery pattern on the pillow. "Just Stay Little" is honestly my sentiment as a mother. I mean, growing up and being best friends with your kids is awesome...but there is nothing like the "little" stage. I wish I could stop time, right? How she framed the "Month by Month" calendar girls is maybe my favorite. The calendar girls were some of the first images in my shop 6 years ago, where I added a new print every month. It was so fun to do! And since these prints are square, and there is no color in the background, how she chose to frame them is adorable. You can see the full room tour here. So thank you Tessie for this great room tour! You need to check out her blog, where she has great tutorials and awesome home reno and decor projects. I to paint a coral table just like she did. Do you have a space you've created with Sarah Jane fabric and prints? I'd love to see your images. You are always welcome to email me (my contact info is on the contact page). 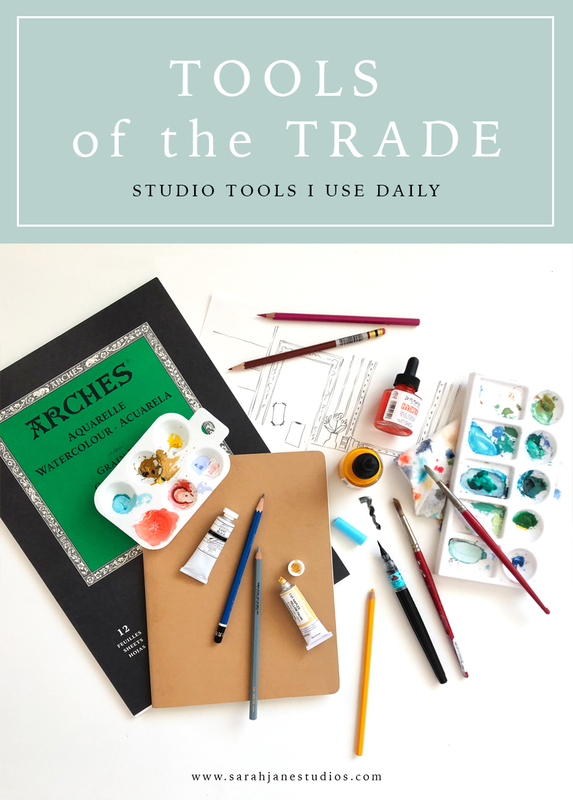 I know one of your main suggestions that I keep up here on the blog was to keep up the sharing of how you are all using my designs. And while the Pinterest and Flickr and Facebook are nice , it's great to see it all here.